In stock 180 pcs. Also available in our walk-in store. 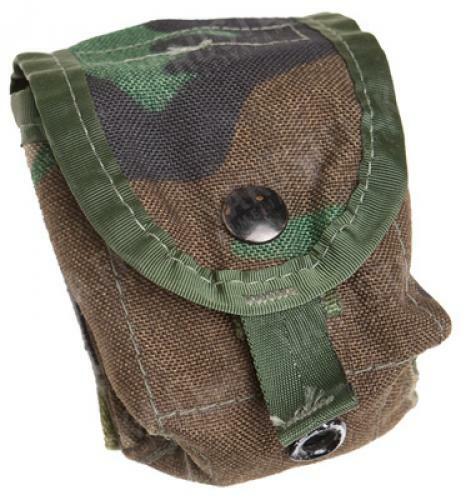 This small MOLLE pouch will take all US Army issue hand grenades. Used. 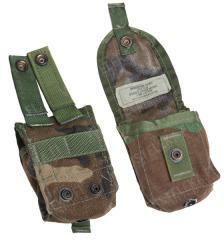 The MOLLE system consists of a selection of pouches and other gear. Hand grenades are carried in these small single pouches. Snap closure, spoon channel inside and MOLLE-attachment on the back. Made in the US from military grade cordura NIR properties as you would expect.